Share the post "Treatment Options for Fibroids"
Fibroids are a common medical condition. By the age of 50, approximately 70 percent of women will have developed these tumors. Fibroids are benign and in early stages if the tumors are small in either size or number, many women do not experience any symptoms. However, fibroids can get worse over time with symptoms ranging from lower back pain and abnormally heavy periods to infertility. Many women who have fibroids put off treatment because they feel that the symptoms are manageable or because the treatments for fibroids traditionally have a negative effect on future fertility. With modern medical advances women now have an effective fibroids treatment that will preserve fertility, Fibroid Embolization. Here are some Fibroids treatment options ranging from most evasive and highest effect on fertility to least. A hysterectomy is the removal of the uterus, which may or may not include the ovaries. Hysterectomies are performed either in a traditional open surgery or laparoscopically. This procedure is very effective at removing fibroids, however it also stops the patient from ever having children. Recovery time ranges from several days to a few weeks, depending on how the procedure was performed. If a woman has a hysterectomy and opts to have her ovaries removed as well, she will need to consider whether or not to have hormone replacement therapy, as her menopause will begin with the absence of her ovaries and the hormones they produce. The technical term for fibroids is leiomyoma and a myomectomy is the surgical removal of uterine fibroids. This surgery is performed in one of three ways: in traditional open surgery, with a laparoscopic surgery, or with a hysteroscopic procedure. Laparoscopy and hysteroscopy are both minimally invasive surgeries with a quicker recovery time than a traditional surgery. In all cases, the surgeon accesses the uterus and surgically removes the fibroids. This is a very effective means of removing fibroids, however the tumors can grow back. In fact, approximately 50 percent of the women who have this surgery require repeat treatment for returning fibroids. The recovery time varies between a few days for the minimally invasive procedures to up to six weeks for a traditional open surgery. The benefits of myomectomy are that in most cases, the procedure can be performed in a minimally invasive manner and it preserves the uterus so that pregnancy is still possible in the future. As with all surgical procedures, there are risks including uterine scarring that can affect fertility and heavy bleeding during the procedure necessitating a hysterectomy. Here at the Fibroid Treatment Collective, we have pioneered an innovative and minimally invasive treatment for fibroids. Fibroid Embolization involves inserting a catheter and running it to the uterine artery, then releasing embolic agents that cause the fibroid to shrink. This procedure is significantly less invasive than any other procedure to remove fibroids. Recovery from fibroid embolization only takes five days. Fibroid embolization is also extremely effective with over 90 percent of women who have this procedure seeing their condition resolve. 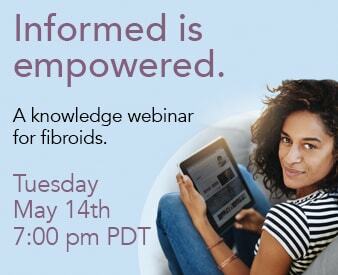 Also, very few women experience any regrowth of fibroids. This procedure also protects a woman’s fertility and does not carry the same level of risks of a surgical procedures. If you have questions about fibroids or how they are treated, contact the Fibroid Treatment Collective on (800) 645 – 6095 for more information.